Widely considered to be the movie that put Canadian filmmaker David Cronenberg on the map in the United States, 1981's Scanners begins with a scene where a man, seemingly homeless, sits in a food court. As he munches away at a hotdog someone left unfinished, two older women look at him and make disparaging remarks. He stares at them and begins to convulse a bit and before you know it one of the women is on the floor, twitching in a seizure like state, blood running from her nose. Two men in trench coats chase him through the mall and when they get close enough, shoot him with a dart. The drugged man, who we learn is named Cameron Vale (Stephen Lack), wakes up bound to bed in what looks like an abandoned warehouse. 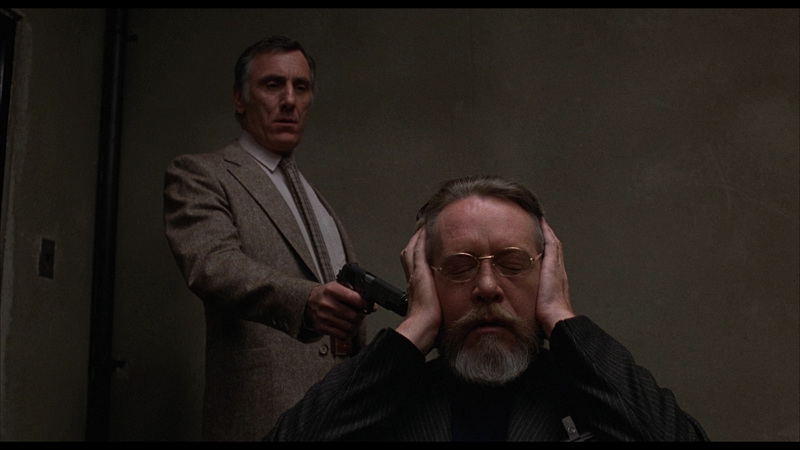 He's being watched over by a Doctor Rose (Patrick McGoohan), who tells him that the reason he hears the voices in his head is because he's a ‘Scanner' and that he's basically telepathic. He injects him with a drug called Ephemeral which allows him to better control his ability. 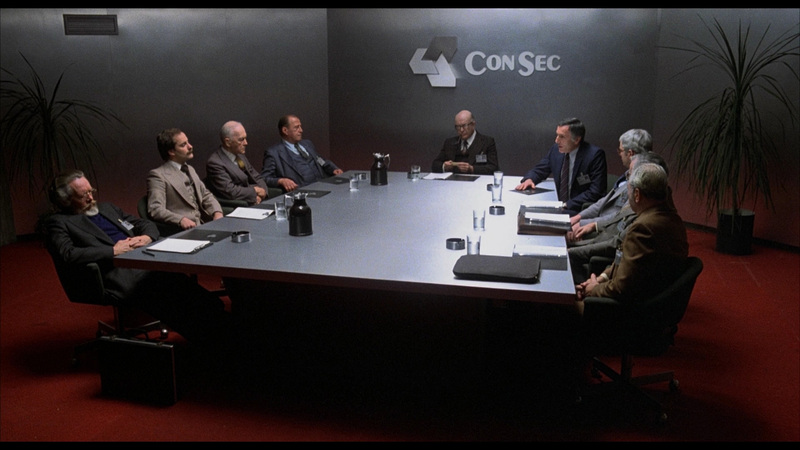 It turns out that Rose works for a corporation called ConSec who have ties to certain defense technologies. 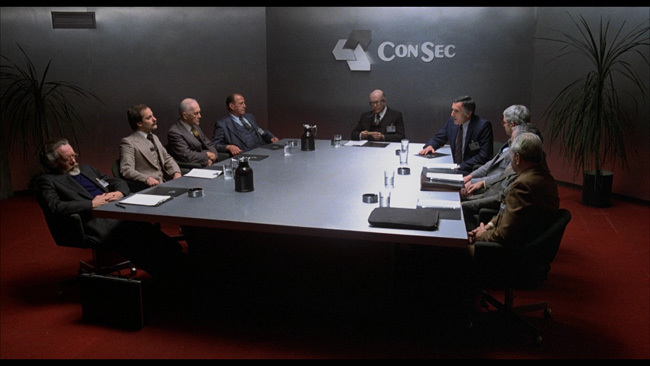 They've been working on a Scanners program under Rose's watchful eye but when they invite twenty-five VIP's and CEO's to their facility for a demonstration, it goes horribly wrong. The Scanner doing the demonstration asks for a volunteer, a man raises his hand and when it turns out that he's a Scanner himself, the demonstrators head literally explodes in one of eighties horror's most famous scenes. 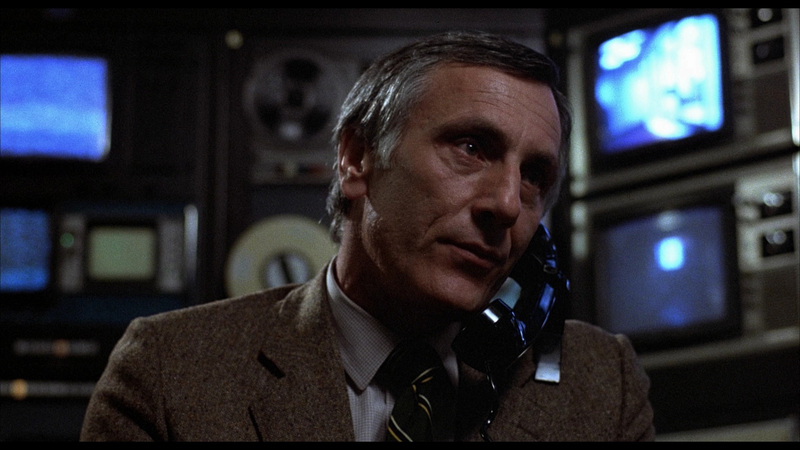 Cronenberg would make better films than Scanners but this entry in his filmography is a smart mix of science fiction and horror complete with the body horror motif that would dominate most of the auteur's early work (which would peak with Videodrome two years later and his remake of The Fly in 1986). 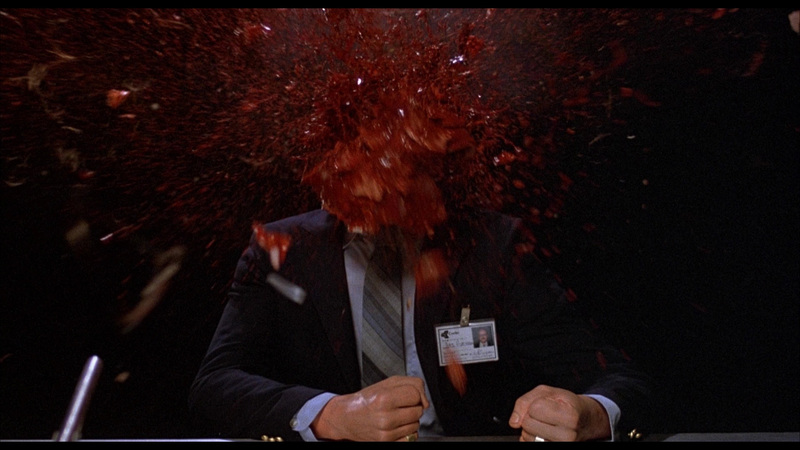 The exploding head sequence, which still packs a serious punch, is the most obvious example here but the scenes in which the Scanners do their thing tend to feature throbbing veins and pulsing arteries pushing through membranes and the effects used in these scenes fit right alongside similar sequences in his other pictures. 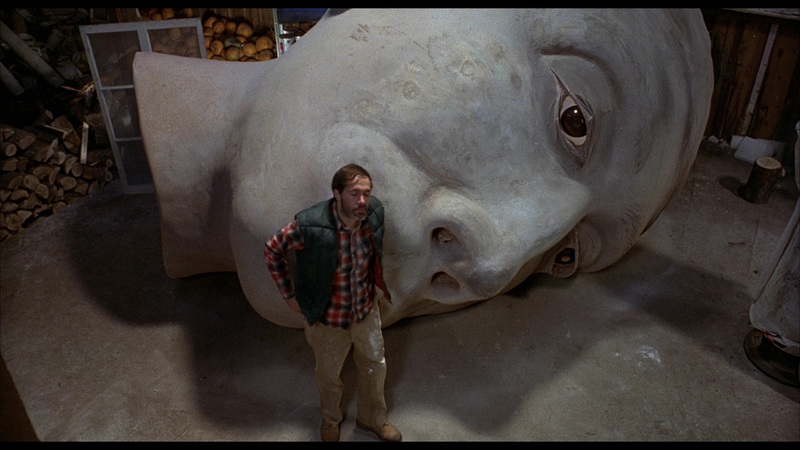 As he tends to explore horror using the human body as an entrance, it's easy to see how what he accomplished with this picture would resonate in later entries right up to 1999's eXistenZ. Of course there were deviations from this motif, M. Butterfly for example, but it's obvious to anyone who pays attention to his output that this is very much a recurring theme. There's more to this than just a group of rogue telepaths wreaking havoc, however. The film speaks to conspiracy theories regarding a telepathic underground bent on taking over and so too does it offer up some insight into the hidden agendas of pharmaceutical companies interested more in profit than in the greater good. 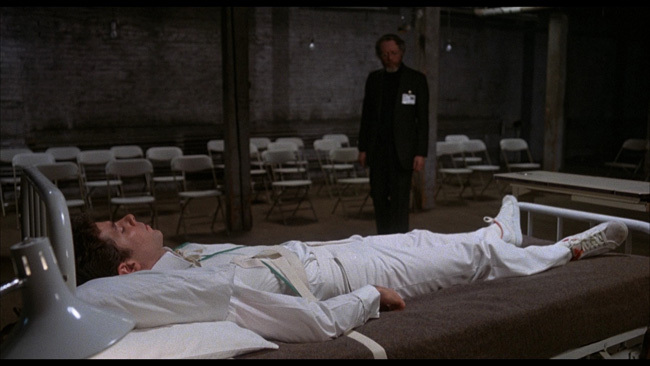 The influence of seventies era conspiracy thrillers works its way into Scanners in that regard, and so we wind up with a movie that uses elements of politically motivated psychological thrillers just as effectively as it does those aforementioned moments of graphic, visceral horror. 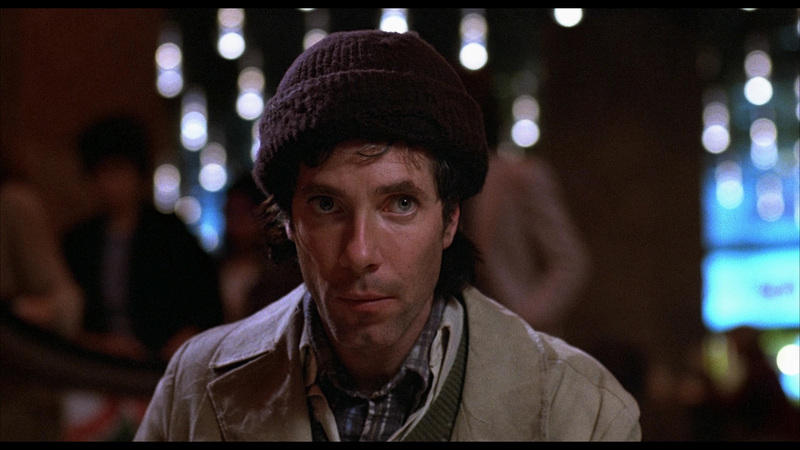 This mix makes the movie considerably more thought provoking than it would be had it simply focused just on the more fantastical aspects of the story (a weakness demonstrated by the sequels to this picture, films in which Cronenberg had no involvement whatsoever). Performances are very good here. 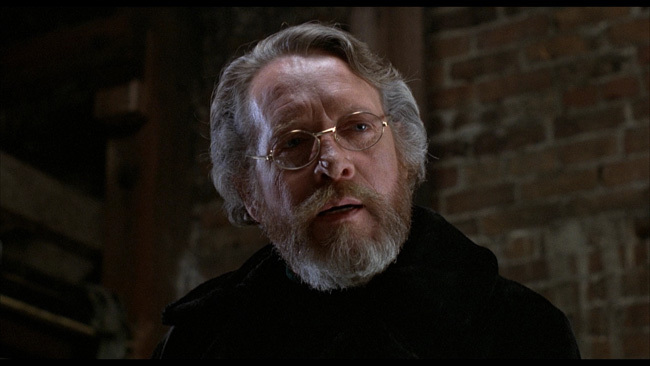 McGoohan, probably best known for playing the lead in the popular TV series The Prisoner, shines as the aging doctor in charge of the Scanners program. He has the right look and screen presence to play a member of the intelligent elite quite well, keeping his calm even when his training with Vale doesn't go exactly as planned. At the same time, there's something about his performance that alerts us to the fact that he's not being completely honest with his subject about all of this. Likewise, Lack is good here too. He's a little wooden in a few scenes but when the director ratchets up the intensity later in the movie, he rises to the occasion and his showdown in the finale with a scene stealing Michael Ironside is a highlight in the director's output. The beautiful Jennifer O'Neill has a supporting role in the film as one of Vale's allies and she too is quiet good, and special mention should be made of Robert Silverman's performance as an eccentric Scanner posing as an artist after being let out of an institution for trying to kill his family as a ten year old. 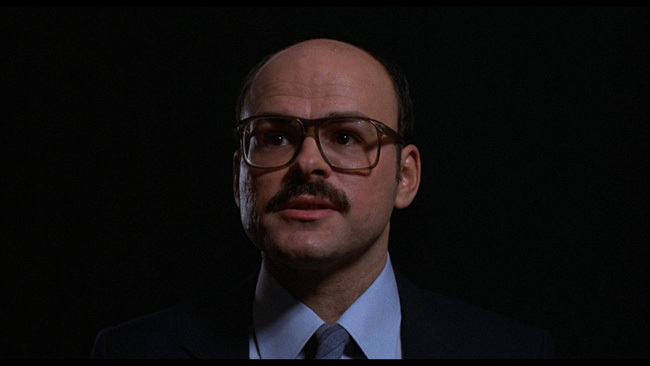 The movie takes a little while to get going and aspects of it are definitely dated (the most obvious example being its use of computer technology) but for the most part, Scanners remains an intelligent and influential work of genre filmmaking. 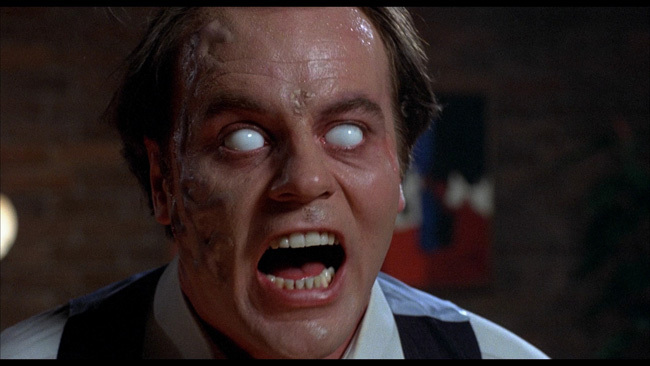 Scanners arrives on Blu-ray in an AVC encoded 1080p high definition transfer framed at 1.85.1 widescreen. 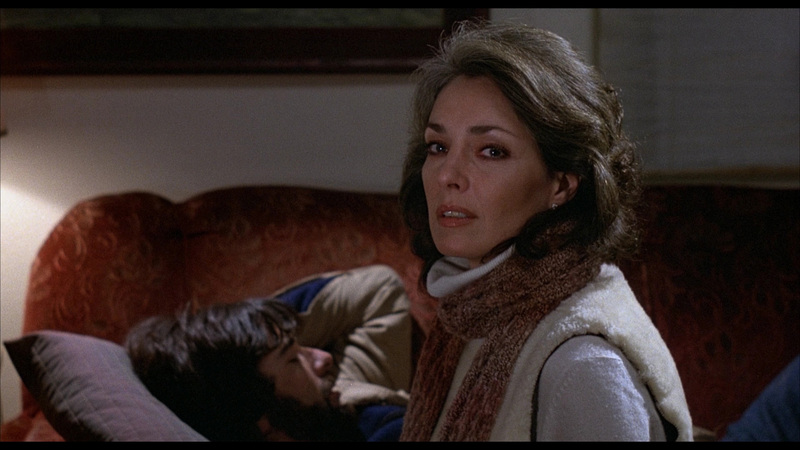 Some had an issue with the color timing of the domestic Criterion Blu-ray release, claiming it was too dark – this transfer is closer to the UK’s release from Second Sight that has the lighter color timing on it. As far as detail goes, it’s typically very strong here, impressing quite frequently and blowing previous DVD releases out of the water. Blacks are nice and strong while shadow detail is quite good. No problems with crush or compression artifacts here, while skin tones look nice and lifelike, never waxy at all. There isn’t much in the way of print damage here and the film’s grain structure remains intact and very natural looking and this is quite a nice looking picture. Audio options are provided in German and in English 2.0 PCM with optional subtitles provided in German. The English audio sounds quite good here, giving some nice depth to the score and really doing a fine job of bringing some of the film’s more piercing sound effects to the forefront of the mix. Levels are balanced well and there are no problems to note with any audible hiss or distortion. Extras start off with a commentary track from Marcus Stiglegger but unfortunately it’s in German and no English subtitles are provided. There is, however, an English language interview with Stephen Lack entitled The Ephemerol Diaries (German subtitles are provided) that runs just over fourteen minutes. He talks about how he got into acting after working in Montreal as an artist, what it was like working with Cronenberg on the film and also what it was like working on Head On with John Huston. 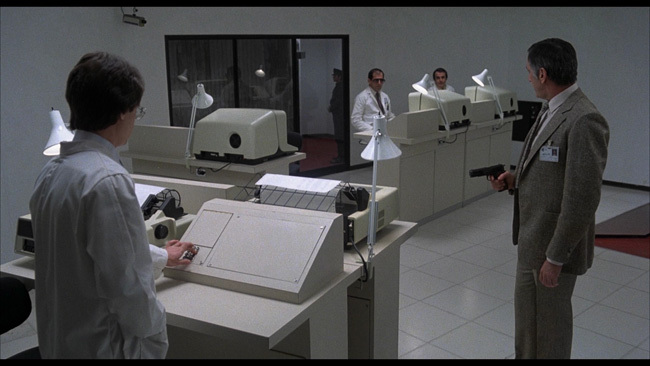 He also talks about some of the difficulties that occurred working alongside McGoohan, how they weren’t sure where the movie was going while they were making it and what it was like working on the set where so many effects and prosthetics were involved. He’s pretty honest about what was and was not enjoyable about working on the picture, the ‘very particular’ style of its director and how he feels about the movie as a whole. Rounding out the extras is an isolated score and effects track (in Dolby Digital Mono format), an extensive still gallery, the film’s original North American trailer, a German language trailer and an English language television spot. Animated menus and chapter selection are also provided. 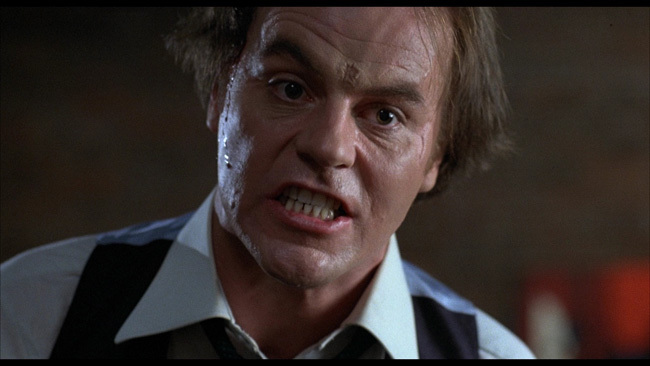 Scanners is a smart and well-made mix of intense science fiction and horror delivered through the director's skewed sensibility. The German market Blu-ray release from Subkultur is a good one, presenting the film uncut and in very fine condition with some good supplements to go alongside the impressive transfer. 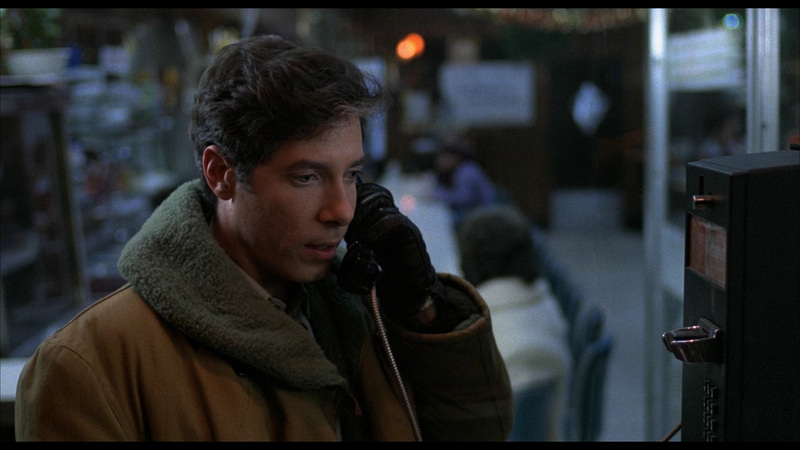 Click on the images below for full-sized Blu-ray screen caps!